Computers: Hardware, Computers (general), Telecom(munications), and 7 more. Very Kind, faithful, reliable, and excellent service provider. He sent the job ontime, and quickly replying. Amin did a good job with a fast turn around of the files. His communication is positive, fast and professional. I am willing to work with him again in the future inshaAllah. Mohamed provided localization from English into Arabic for an Online Learning course whose content was quite technical. His translation received a good QA score. 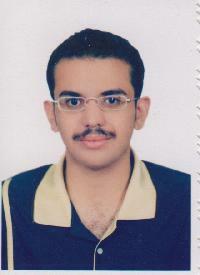 Besides this, Mohamed was very responsive, detail-oriented and communicative. A very good resource to work with. Mohamed was quick, accurate, and thorough in his translation. He was responsive to questions about the translation. He maintained strong communication throughout and was resourceful and patient in solving logistical difficulties. Great experience! Many thanks, hope to work with you again. Mohamed Amid did a good job for us and I would recommend him. Professional Translator. On time delivery. Prompt delivery. Will work again. Thank you Mr Amin for your professional work. Mohamed is an absolute professional! Fast, reliable and accurate. Highly recommended! Mohamed made the localization of ChangeTracker application and help materials (www.changetracker.com) for us. I have worked with Mohamed in English to Arabic project and I really appreciate his professionnalism.He delivered my project before deadline in high quality. Will definitively work with him again. Mr. Mohamed is polite, reliable and professional. Promt, reliable & very responsive. Look forward to collaborating again! Reliable and accurate translator.Looking forward to work with him again. It was a pleasure to work with Mohamed. I highly appreciate Mr. Amin's professionalism and invaluable cooperation! Punctual, accurate work - I trusted Mohamed on a 34,000-word job and was not disappointed. Mr. Mohammed turned out to be a very helpful and reliable translator. Thank you very much! Have you worked alongside this service provider? Leave Mohamed Amin a rating.